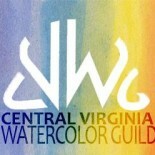 Entries for CVWG’s 25th Annual Exhibition are now being accepted. Click here to download the show prospectus, instructions, and entry form. Questions? Contact Pam Roland at PamRoland@gmail.com or 434-831-1864. YEA!! It’s exciting to see it on the web. LOTS of work in it! This entry was posted on Mar 26, 2016 by miatomaine in Call for Entries, Shows.